The principal charm of store displays, of course, is their attractive graphical nature. 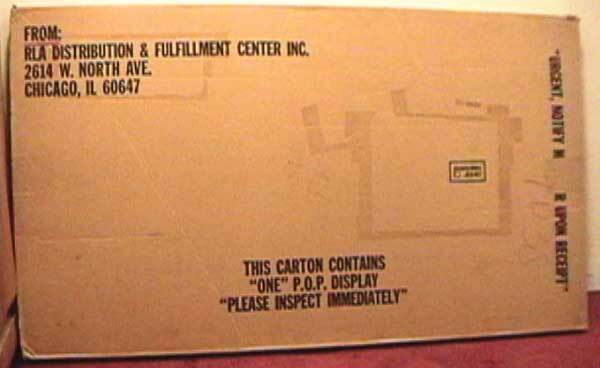 But display collectors often are quite interested in the boxes that displays and related promotional materials were shipped to retailers in. Here is an example of a Burger King Star Wars store display kit, still sealed in its original shipping box.